Whether there’s pressure to find a job, any job, immediately, or if you have time to be absolutely certain a position is the right fit, you can benefit from using a recruiter to help you find your next job opportunity. We’ve come up with a list of how you can best work with recruiters, and also debunked some myths about what it’s really like to work with a recruiter. The Truth — If you decide to work with a recruiter to find a job, it generally won’t cost anything. Top recruiting firms are paid by the employer to find great candidates, and the recruiter is paid by that employer when they make a successful placement. While there are some recruiters who will charge a job seeker a fee, this is usually for an exclusive contract (where you’re the only candidate the recruiter would have). If a recruiter asks you for money to help place you in a job, make sure to do your due diligence before agreeing. It could be that the company is also paying him or her a fee for recruiting you, which makes charging you somewhat suspect. There are plenty of agencies (including Relode) that will match you with the perfect job, without the fees. The Truth — recruiting is a huge industry, with dozens of niches and specialties. Whether you’re working in fine dining, in retail, or in healthcare, there are likely recruiters working in that industry as well. You don’t need to be at the manager level or be an executive to benefit from using a recruiter, you just need to be connected to the right recruiter for your position. The Truth — Just like in Myth #1, there are probably some recruiters who are only out for their personal payday. However, the majority of recruiters are genuinely invested in helping you find the right job. Recruiting is a relational industry, and the best recruiters know that in order to thrive, they need to maintain positive relationships with their network. When they burn bridges with potential candidates, that can also mean burning bridges with employers as well. If you’re working with a good recruiter, he or she is going to make sure that the job you’re placed in is right for you, and will take the time to really understand what you’re looking for before submitting you for a role. The Truth — Working with a recruiter can actually simplify your job search. Instead of spending time on resumes and applications, trying to figure out where to apply, and struggling to set yourself apart from other candidates, working with a recruiter can help you get more visibility with employers, without a lot of the hassle. Most recruiters have good relationships with hiring managers, so they can be an additional advocate for you during the hiring process. While working with a recruiter isn’t necessarily a guarantee that you’ll land an interview, you’re more likely to have your resume seen, and you’ll have someone who is constantly working on your behalf, which will allow you to focus more on taking care of your patience. Our agents and staff here at Relode are dedicated to helping you connect to the right position at the right time. 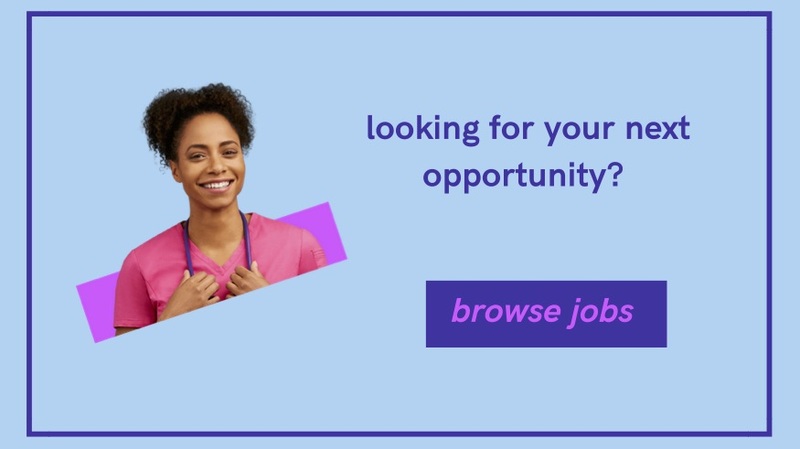 We work directly with healthcare companies and their hiring team and make sure that you’re as interested in them as they are in you, and there are no fees for job seekers. Connect with us today and see how Relode can help you find the best job for your skills and personality.